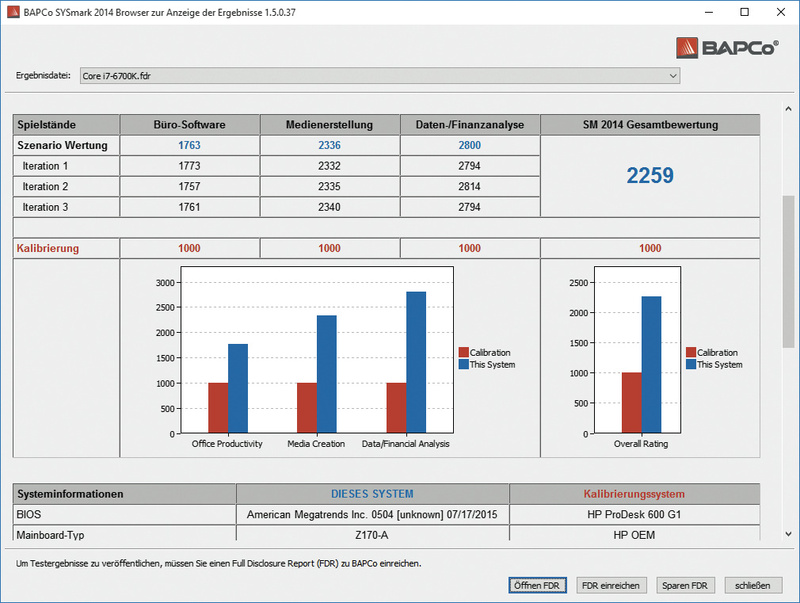 German online publication, c’t magazine, has announced the new German user interface feature in SYSmark 2014 ver 1.5 benchmark. “The BAPCo consortium has the Office benchmark SYSmark 2014 updated to version 1.5 and made fit for Windows 10 from 950 euros available Suite now supports Windows 7, 8, 8.1 and 10, respectively, in the 32- and 64-bit version. The results of Version 1.5 are comparable to those of previous versions of SYSmark 2014. A new addition is a German-language user interface and a revised configuration tool.” The localized GUI is also available in Chinese. Jump here to view the article in German.